Marlena Shaw, James Brown, Fred Wesley & The J.B.&apos;s, Archie Bell & The Drells, Jean Carn and more. I am abundantly blessed to have a home base here in Atlanta, where people come out and enjoy what I love to do - share & dance to beautiful music!! I&apos;ll be spinning some of my new 45s, my favorite rare grooves, and some funky joints by the Godfather of Soul (James Brown) that you might appreciate! 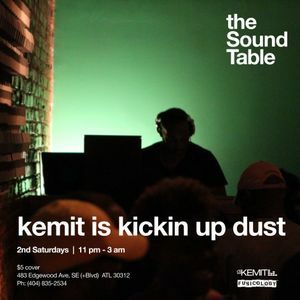 Join me this Saturday, July 13th at The Sound Table. We&apos;ll share some good vibes, great dinner, drinks, and dancing, of course. Bars is open all night!